"ReTargeter Not What I Was Hoping For"
Retargeter is a somewhat flexible solution, but really lacks a lot of the wow factors that AdRoll provides. Retargeting is a new space with new competitors popping up all the time. That said, not every solution in the space is equal. Some are much farther along than others. In my experience, Retargeter was behind other competitors in reporting and even foundational campaign management functionality. Their customer support was also a problem while I was a member. We used Retargeter to test retargeting as a channel, but with their monthly subscription you feel like you are the short end of the stick. Other solutions in the market like AdRoll let you pay as you go (pay for performance) which in my mind is a must both for testing the channel as well it's long-term viability. "Great brand, lacking technical capability." 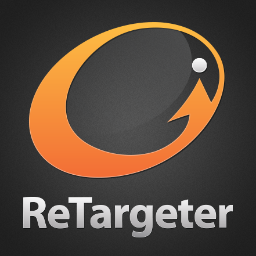 Retargeter provides an excellent level of service, even for advertisers with small budgets. I was impressed with this. Their services are all outsourced to other providers, like AppNexus and AdExtent. Very few of their technical capabilities are a result of in house efforts. For very basic retargeting, they're fine, but there are several other options worth considering. For anything more technical, you'll need a heavier hitter. Building and developing audiences, trying to reach them through display ads. Perfect Audience helps businesses of all sizes bring back lost customers and get more sales through retargeting. Second-Party Data solutions powering the largest transparent data economy. Use BoostSuite’s easy co-marketing platform to put your services, products and ideas in front of your next best customer. Contobox is a rich media engagement platform designed to enable publishers to sell and deliver high impact advertising executions. * We monitor all ReTargeter reviews to prevent fraudulent reviews and keep review quality high. We do not post reviews by company employees or direct competitors. Validated reviews require the user to submit a screenshot of the product containing their user ID, in order to verify a user is an actual user of the product. Hi there! Are you looking to implement a solution like ReTargeter?